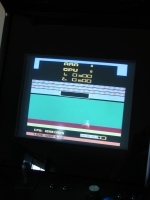 This page details how I added the Atari 2600 emulator Z26 to my MAME cabinet, using Mamewah as the frontend. Although the explanation could be applied to other emulators, it is tied specifically to Mamewah and my specific setup. For further information on my setup, please see my Mamewah overview page. As a convenience, I have included most all the files that are needed, including a set of the games with their corresponding snapshots. I believe I am running Mamewah v.1.51 so there will be one file that will be different for you if you are at 1.61 or later. It was some hit and miss discovering which files I needed. 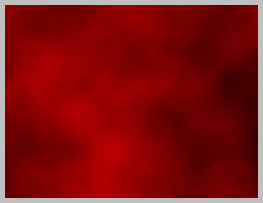 I found the Mamewah 2600 background on the CPViewer website. 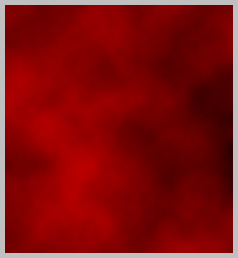 Editing it slightly, I added a place for the box cover, if found, at the very bottom of the screen. I also changed all the folders descriptions to point to my cabinet's layout. I discovered the box art and the screenshots through simple google searches. The Roms themselves were found on my original Mame installation DVDs as an extra bonus but were zipped files within the larger zip. This caused me some consternation (unlike Mame Roms, Atari 'roms' must be unzipped to work) until I discovered that Winzip's command line add-on handled recursive unzipping easily. I've accumulated everything here to make your life easier and save you a fair amount of time/trial-and-error. The Mamewah Atari2600.ini file is set for standard settings you will likely want. The Z26 folder is simply a copy of my folder. 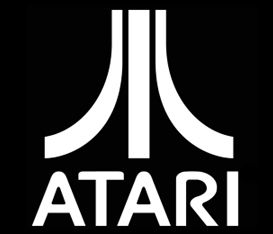 The first thing you will want to do is create a directory structure for the Atari files to reside. Simply created a folder under C:\ as seen to the right. Then download the Game Zip and unzip the contents to the Roms folder (C:\Atari2600\Z26\Roms). Next download and unzip the Snapshots zip to the Screenshots folder. The Boxes zip gets unzipped to the boxart folder. I will leave it to you to find the cartscans (cartridge scans) via google, if you want. I did not include them as they are just a photo of the Atari 2600 cartridge; if you've seen one cartridge, you've seen them all. 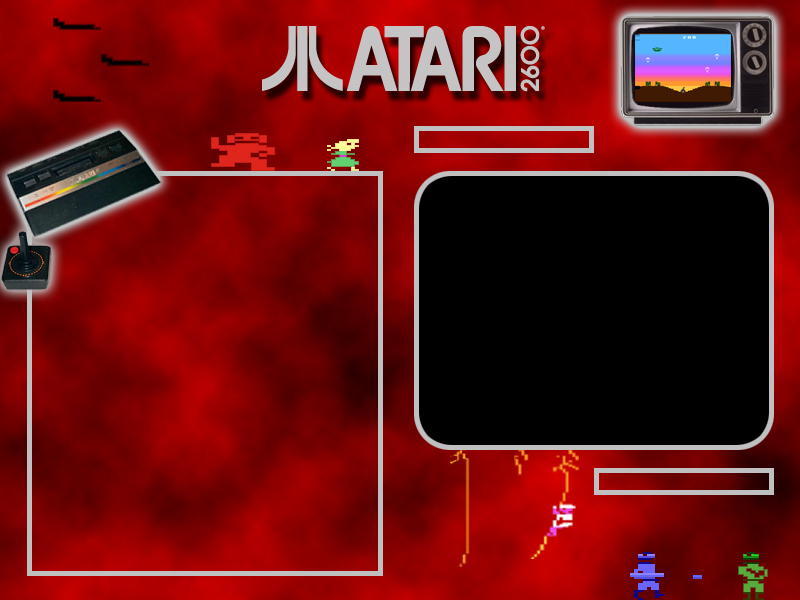 Next, download the Atari2600.ini file and place it in C:\Mamewah\ini. If you are using Mamewah v.1.61 or later, use Atari2600.ini file and rename to Atari2600.ini. You can see again how my folders are set up to the left. (You can ignore the two extra folders that are there to hold any original files prior to my changing them.) While you are at it, download Atari2600-0.ini and Atari2600-1.ini; these files will save you hassles later on, trust me. 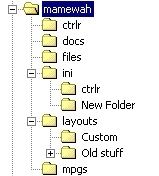 You will now need to download the layout files and place them into the layout folder. In my case that is C:\Mamewah\layouts\Custom. The files that need moved there are: Atari2600.lay, Atari2600-main.jpg, Atari2600-art1.jpg, Atari2600-message.jpg, and Atari2600-options.jpg. Now that should do it for the files you need. Start up Mamewah and go to the new Atari 2600 screen. It should be empty. Just go into the Mamewah menu (Player 2 start button), click on Games List Options, then Generate List. This will create your list and you should now see all the games listed. The Favorites .ini is already in place so you can begin adding games to that list whenever you wish. Below are all the files you need, in case you didn't use the in-line links above. If you leave them as-is, they should work "right out of the box." The Player 2 button will select the game/level in the games and Player 1 start will reset the current game. Player 1 has several fire buttons mapped, while Player 2 button 1 is all they get. Pause and exit are the standard Mame defaults. That's about all you need to know to get started. Good luck and happy gaming! ScreenshotArchive - Help pages, MAMEWAH Layouts, and screenshots. 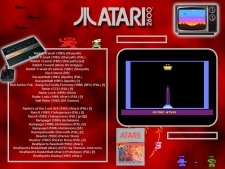 Z26's home- John Saeger's excellent Atari 2600 emulator I use.